It’s been a big year so far for Zoe Foster-Blake. She and comedian husband Hamish Blake are expecting their first baby in May. 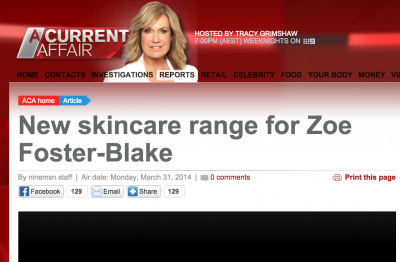 But Zoe has another big first tomorrow when she launches her own skincare range.